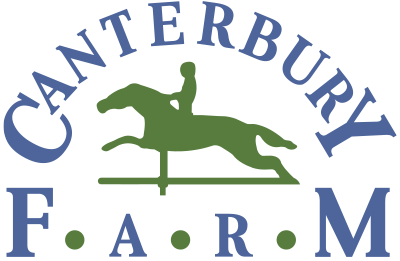 The team at Canterbury Farm is comprised of qualified, dedicated and enthusiastic horse people that love horses and the equestrian sport. Whether your riding goals include riding as a hobby or setting personal, competitive goals, the qualified team here works with you to create a customized program that gets you where you want to go. 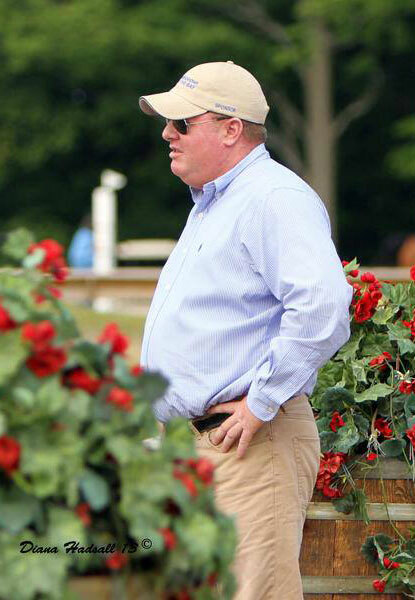 Greg Franklin is the head trainer at Canterbury Farm, he is dedicated to producing riders and horses in the Hunter, Equitation, and Jumper rings that are competitive at local, national and international levels. His commitment to providing people and horses with the guidance necessary to bring out their greatest potential provides those who train with him the tools, focus and discipline necessary to achieve success. For over 30 years, he has ridden hunters to numerous championships all over the country and has brought many different horses to Horse of the Year awards in Zone Five. Greg also understands what it takes to achieve success in the Equitation ring, having trained a Reserve Champion in the Midwest Region of the ASPCA Maclay championships. He has qualified horses and riders for the Pennsylvania National, Washington International and the National Horse in the Junior Hunter Division Amateur Owner Hunter Division and Regular Working Hunter Division. While at HITS in Ocala, FL he trained the pony Equitation 2011 Circuit Champion. He has also shown internationally at Spruce Meadows in the 1.40 and 1.45. Greg’s local, national and international networking with top professionals allows him to stay current, cutting edge and comprehensive in his riding and training. Greg also has his ‘R’ in the Hunters, Hunter Seat Equitation, and Jumpers, and judges many shows throughout the country, bringing home with him a unique “judge’s eye” perspective to those who train with him. Marcia Franklin is one of the owners of Canterbury Farm. 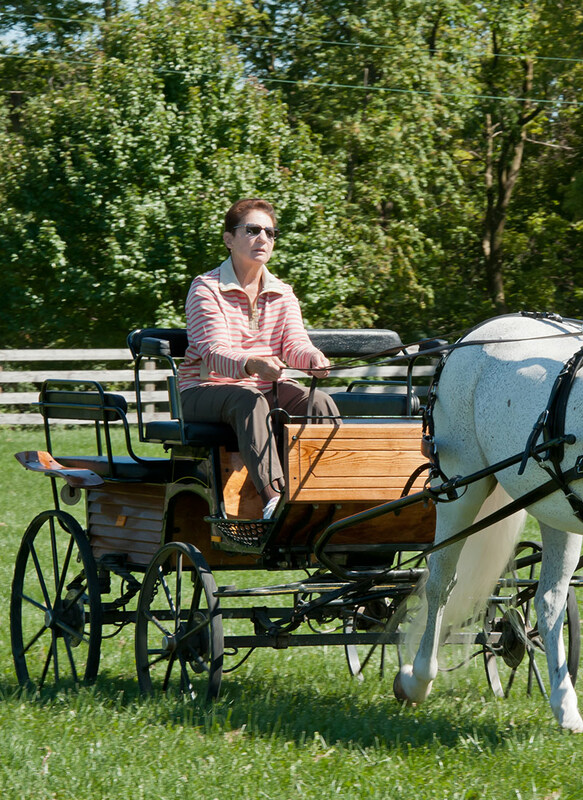 She has been in the horse business for more than 25 years on a variety of levels including barn owner, horse owner, rider and most recently has found joy in driving. Marcia owns her own driving pony and on beautiful days can be seen driving down Thurnau road. Marcia is a horse lover, hands-on owner, and is great with kids. Before becoming an owner of Canterbury Farm, Marcia was a school teacher for 20 years in a Northbrook School District. Together with the rest of her family, she prides herself on creating a warm family environment for all of the horses and riders that train at the farm. We have a very qualified and caring staff at the farm that are here to help you with all of your needs as well as your horses’ needs. We are here to accommodate you, and care for your horse in every way we can.